The pancreas is a small organ that lies close to the gastrointestinal tract, the liver and the kidneys. Its produces digestive enzymes and is very important in the regulation of glucose in the body, as it produces insulin. Pancreatitis is an inflammation of the pancreas and is often caused by a high fat diet. Even a dog that is not on a regular high fat diet, but is fed a single high fat meal can fall victim to a pancreatitis. In private practice, we see a dramatic increase in pancreatitis and diarrhoea cases over the Christmas season, for exactly that reason! Diseases that lead to high amounts of fat or calcium circulating in the blood stream, trauma to the abdomen and some drugs and toxins can also cause pancreatitis. Inflammation of the pancreas causes the inappropriate release of enzymes and digestion of pancreatic and associated tissues, like the liver and kidneys. Certain breeds appear to be predisposed to this condition. 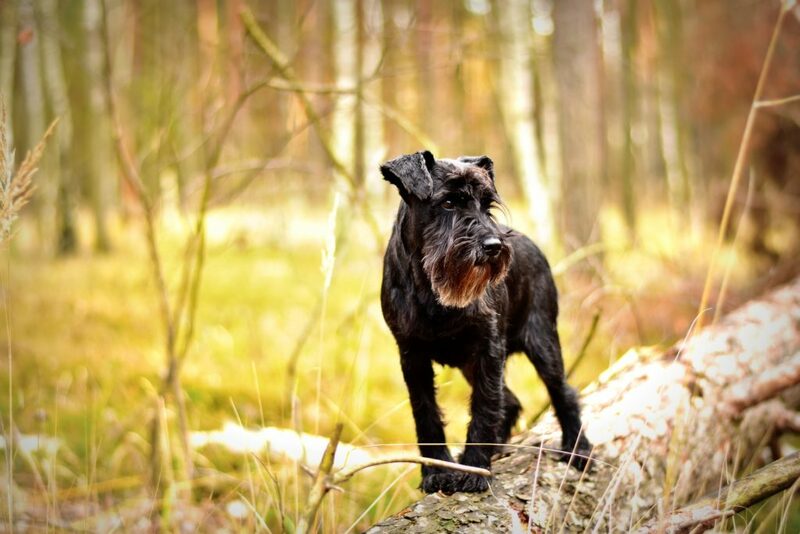 The Miniature Schnauzer, the Miniature Poodle, the Spaniel and the Yorkshire Terrier seem to be more prone than other dog breeds. Females are seen more frequently than males and older dogs are more at risk. Obesity seems to be a major contributing factor in the development of pancreatitis. This cannot be over emphasised. Obesity is a major risk factor! Some dogs show all of these symptoms, others only a few. Vomiting is the most common complaint. To make a diagnosis of pancreatitis, your vet will take a thorough history, do a full clinical examination and run a variety of blood tests. He will likely take abdominal radiographs to rule out other causes of vomiting and possibly also do an abdominal ultrasound. Rarely, a tissue biopsy is necessary. Most of these tests can be done in-house at the practice and treatment can be started as soon as a diagnosis is confirmed. The prognosis for a dog with pancreatitis can be good. In milder cases and especially if treatment is started early, complete recovery (with no long term damage) can be achieved. In more severe cases, long term damage to the pancreas can occur, affecting the production of Insulin and digestive enzymes.Sadly, some cases of acute, severe pancreatitis do not respond to treatment. Treatment of pancreatitis is mostly aimed at controlling symptoms and normalising electrolyte and fluid imbalance in the body. Fluid therapy is almost always instituted. In most cases the fluid is given intravenously, but in milder cases fluid can be given under the skin. Occasionally, electrolytes are added to these fluids to help normalise blood electrolyte levels. Anti-inflammatories are given to reduce the inflammation of the pancreas and the associated pain. Stronger pain relieving medication may be necessary. In cases of severe or continuous vomiting, anti-nausea medication is given. If indicated antibiotics may be added to the treatment protocol. If a specific drug is shown to have caused the pancreatitis, this is obviously immediately stopped. Food and water are generally withheld for the first 24 hours, to give the pancreas a rest. Medications are also usually injected for this time period and not given orally. When food is reintroduced, a low fat easily digestible diet is given. This diet may have to be continued lifelong to avoid recurrence of the pancreatitis. Always keep your dog at her ideal weight. If your dog is already overweight, don’t hesitate to ask you vet or their support team, to guide you in helping her to lose weight. It should be a priority, especially if your dog is one of the breeds more at risk for developing this disease. Avoid high fat diets. Your dog doesn’t need table scraps! If you cannot help yourself, always choose lean, fat free titbits. If your dog is persistently vomiting and not eating, take him to your vet sooner rather than later for an examination and any necessary testing. Early diagnosis improves prognosis. Let’s keep our dogs Healthy and Happy this Christmas, by not giving in to the temptation to share our Christmas meals with them.